WATERFORD - Oliver, Inez “Joann” (nee. Gearhart) age 87 of Waterford passed away peacefully on January 9, 2019 at Bay at Burlington care facility. Visitation Tuesday January 15th 10-11:45 AM at Norway Lutheran Church 6321 Heg Park Road, Wind Lake, Wisconsin. Services will begin at 12:00 Noon. Reception luncheon served in the church hall following services. Private Inurnment at a later date in Norway Hill Cemetery. In lieu of floral expressions of sympathy, memorials are suggested to Norway Lutheran Church. Full obituary will appear in Sunday January 13th edition of Journal Times or on our website www.mealyfuneralhome.com. MOUNT PLEASANT—Shirley Mae Olson, 93, went home to be with her Lord on January 8, 2019, surrounded by her family. A celebration of Shirley’s life will be held on Saturday, January 12, 2019, at 11:00 A.M. at Calvary Memorial Church with Pastor Nathan James officiating. Family and friends are invited to a time of visitation from 10:00 A.M. until the time of service. Interment will be held at West Lawn Memorial Park. Memorials may be directed to Calvary Memorial Church (4001 Washington Ave, Racine, WI 53405). Online condolences may be expressed at www.wilsonfuneralhomeinc.com. RACINE—Margaret Ann Baab, “Peggy”, age 72, passed away Monday, January 7, 2019, at Ascension All Saints Hospital. IRON MOUNTAIN -Kathleen C. ‘Kathy’ Truax, age 67, of Iron Mountain, Mich., passed away Wednesday, January 2, 2019, at Dickinson County Healthcare System, Iron Mountain. She was born August 20, 1951, in Stambaugh, Mich., daughter of the late Boleslaus and Josephine (Buczakowski) Luska. Kathy was a graduate of Tremper High School in Kenosha, Wis., class of 1969. She received her bachelors degree from University of Phoenix and her masters degree as a Registered Nurse from Norwich University. On December 31, 1982, she was united in marriage to David Truax in Kenosha, Wis. They resided in Stambaugh, Mich. before moving to Prescott Valley, Ariz. and returned to Iron Mountain in 2005. She worked as a registered nurse and as an OEF Case Manager. Kathy enjoyed gardening classes, flowers, shopping, walking and especially the time spent with her grandchildren and family. She was very passionate about helping veterans. Survivors include her husband, David Truax; two sons, Jered (Alison) Tillman, Two Rivers, Wis. and David (Lisa) Truax Jr., Lacey, Wash.; two daughters, Leesa Tillman Iron River, Mich. and Lanie (James Oulch) Truax, Florida; three brothers, Robert Luska, William (Angie) Luska and John Luska; two sisters, Jean (Terry) Schwenk and Betty (Jack) Kellum; nine grandchildren, Sabrina, Zack, Kaburi, Jordan, Shane, Kylie, Avery, Nick, and Amayah. Visitation and Service was held Saturday, January 5, 2019, at the Jacobs Funeral Home, Iron Mountain, Mich.
You may leave a condolence or tribute for Kathy’s family online at www.JacobsFuneralHomes.com. The family has chosen the Jacobs Funeral Home, Iron Mountain, to honor Kathy’s legacy of life. RACINE—Age 40. December 30, 2018. Combined Services will be held on January 12, 2019 at New Omega Baptist Church, 5731 Northwestern Ave.
Visitation from 9-10 AM. Funeral at 10 AM. Services Entrusted to Reid’s New Golden Gate Funeral Home, 1910 Taylor Avenue Racine, WI. 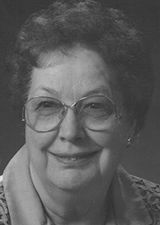 RACINE—LaDonna Schonert, 83, passed away peacefully at home surrounded by her family on Tuesday, January 8, 2019. LaDonna was born in Racine on August 22, 1935 to Leonard and Thelma (nee, Damm) Drigert. On May 25, 1956, LaDonna married Lee E. Schonert, celebrating 62 years of marriage. LaDonna was Miss Goodwill (now Miss Racine) 1954. She was a great cook and loved gardening and watching the cooking channel. She also loved cane pole and bobber fishing. Survivors include her husband, Lee E. Schonert; children, Steve (Trina) Schonert, Trina (Tory) Prudhomme and Margene (Ron) Wilson; grandchildren, Jenna (Mitch) Buenger, Alicia Schonert, Kaci (Fiance’ Chris Roche) Schonert, Tim Prudhomme, Tiffany Prudhomme, Aaron Wilson, Adam Wilson and Andrew Wilson; and great grandchildren, Brigham, Marshall, Desmond, Carly, Kayla, Tyler and Ella Grace. She is further survived by her sister, Pamela Damm; Nephew, Lee (Michelle) Gruenwald, brother-in-law, Gary (Sharon) Schonert and John (Sherry) Schonert;Nephews, Barry and Andy Schonert; other relatives and many dear friends. LaDonna was preceded in death by her brothers and sister-in-law, Peter Damm and Tom & Sandi Drigert. The family wishes to thank Dr. Jay, Dr. Mathew and Ascension Hospice as well as Home Instead for their loving and compassionate care. Funeral services for LaDonna will be held at the funeral home on Saturday, January 12, 2019 at 11:00 a.m. A private family interment will take place at West Lawn Memorial Park. Relatives and friends are invited to meet with the family at the funeral home on Saturday morning from 9:00 a.m. until the time of the service at 11:00 a.m. Memorials may be directed to Second Presbyterian Church. RACINE—Frederick Lee Wensing Jr., age 90, passed away Saturday, January 5, 2019 at his home. A Mass of Christian Burial will be celebrated Saturday, January 12, 2019, 11:00 a.m. at St. Richard Catholic Church, 1503 Grand Avenue, with Rev. Allen J. Bratkowski officiating. To celebrate Fred’s life, relatives and friends may meet with the family Saturday at the church from 9:30 a.m. until time of Mass at 11:00 a.m. Private interment will be held. In lieu of flowers, memorials to St. Richard Catholic Church, American Heart Association, American Diabetes Association or to one’s favorite charity have been suggested. 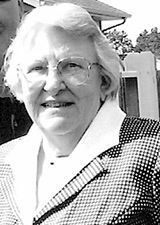 RACINE—Joyce Marilyn Cramer, “Joy”, age 86, passed away Saturday, January 5, 2019, at Ascension Hospital, Franklin. Funeral services will be held at the funeral home, Saturday, January 12, 2019, 10:30 A.M. with Reverend Bill Dietzler officiating. Entombment will follow at West Lawn Memorial Park. Relatives and friends may meet prior to the service 9:30 A.M until 10:30 A.M. Memorials to the Salvation Army have been suggested. RACINE—George L. Durben, 89, went home to be with his Lord on Monday, January 7, 2019. George was born on April 21, 1929, to the late Adam and Anna (nee Bins) Durben in Racine. He was united in marriage to Vicky Hess on February 1, 1975, in Las Vegas, NV. George was a meat cutter for many years at Sentry and Piggly Wiggly. He and his wife loved to travel to Hawaii and go on cruises. George also had a passion for fishing. He will be dearly missed. Left to cherish George’s memory is his loving wife of 43 years, Vicky Lynn Durben; his children: Tom (Cari) Durben, Terry (Monica) Durben, Trudy (Scott) Durben, and Duffy Ford; his step-children: Jeff Scoville, JoAnn Scoville, and Kim Svoboda; his brother-in-law, Terry (Sue) Hess; his niece, Felicia M. Hess; as well as many other relatives and friends. George is preceded in death by his brothers: James and Robert Durben, as well as his sisters: Helen Durben, Marie Ager, and Marguerite Scholzen. Family and friends are invited to a time of visitation from 2:00 P.M. until 4:00 P.M at the Wilson Funeral Home (1212 Lathrop Ave) on Sunday, January 13, 2019. Interment will be held at Graceland Cemetery. In lieu of flowers, memorials can be made out to the Make a Wish Foundation (11020 W Plank Ct #200, Wauwatosa, WI 53226) and/or the Ronald McDonald House (8948 W Watertown Plank Rd, Wauwatosa, WI 53226). The family would like to extend a special thank you to all of the nurses who took care of George on floor 3 of Ascension- All Saints as well as Dr. Willard, Dr. Sriram, and Dr. Dhingra. RACINE—Patricia Louise Lalor, “Patty,” born to Bernard and Elida (Sue) Lalor July 27, 1952 left this world January 5, 2019 to enter into her new eternal life. Patricia was the second youngest of 7 brothers and sisters. She resided in Racine most of her life spending several years in the Appleton/Menasha area. Patricia was retired from the Racine Bus Company. Patty had a great sense of humor and loved to laugh. She enjoyed playing board games with adults as well as children. She spent many hours trying to beat one of her young nephews at Monopoly. She’d blow luck on the dog she called Toto. She held a special place in her heart for all of her nieces and nephews. Patty immensely enjoyed her flower gardens. Patty’s primary love was that of her daughter and her grandchildren. Patty is survived by her daughter Elizabeth Lalor, grandchildren, Keanna Lalor, Keara Lalor, Jermaine Connor, and Kamyra Jordan all of Racine. Patty is further survived by her brothers David Lalor of New Albany, IN, Dean Lalor and Linus (Julie) Lalor of Racine,WI, sister Thayne Brown of Columbia, TN, sister-in-law Nancy Lalor of Racine WI, brother-in-law Lenny Werla of Menasha, WI, many cousins, nieces and nephews. Patty was preceded in death by her parents, sister Katherine Werla, and brother Clayton Lalor. A memorial service will be held at the funeral home, Saturday, January 12, 2019 at 4:00 P.M. Relatives and friends may meet prior to the service 2-4 P.M.
A special thank you to Patty’s cousin, Karen Gray, who is an angel sent from God to aid and love us unconditionally. Words cannot express our gratitude. Racine, Jan. 8, Froedtert Hospital, Wauwatosa, Draeger-Langendorf Funeral Home and Crematory, Mount Pleasant. Franksville, Jan. 8, Froedtert Hospital, Wauwatosa, Draeger-Langendorf Funeral Home and Crematory, Mount Pleasant. Waterford, Jan. 9, Bay of Burlington Care Center, Burlington, Mealy Funeral Home, Waterford. Mount Pleasant, Jan. 9, at his residence, Draeger-Langendorf Funeral Home and Crematory, Mount Pleasant. Of Burlington, passed away Saturday, January 5, 2019, at his residence, surrounded by his loving family. Cliff was born September 7, 1929 to Marvin and Bernice (nee Yetter) Kinsey in Elkton, Minnesota. His early life was spent in Elkton on the family farm. Following graduation from Elkton High School he attended Chanute AFB School for machinist training. Cliff served his country in the Air Force from 1950 through 1953 on the 39th Squadron. On February 20, 1954 he was united in marriage to Shirley Gossett in Hoopeston, IL. Following their marriage they lived in Columbus, OH for 2 years, moved to Delavan, WI for 8 years and now have resided in Burlington the past 50 years. Cliff was an engineer and worked for Sta-Rite Plastics for over 30 years as a manager and Vice President. He was an active member in the community: he was involved with the United Methodist Church in Burlington, Rotary Club, Jaycees, Treasurer of the Hospital Auxiliary, President of the Burlington School Board and Chairman of the Town Board. Cliff was an inventor and avid craftsman. He enjoyed camping, sports, traveling and family fun. Cliff is survived by his loving wife, Shirley, children: Kathy (Terry) Murphy, Karen (James) Jackson, Cevin (Melissa) Kinsey and Jerry (Gina) Kinsey. His grandchildren: Kelley (Dan) Sinclair, Kyle (Kira) Jacobson, Ryan (Caitlyn) Jacobson, Shane Murphy, Clifford Kinsey, Samantha Kinsey, Jonah Kinsey, Norah Kinsey, Caleb Kinsey, Amelia Kinsey and Micah Kinsey, and great-grandchildren: Kinsey Sinclair, Tennyson Sinclair and Leonardo Jacobson. He is further survived by other relatives and friends. He was preceded in death by his parents, a brother Jimmy (Caroline) Kinsey and a niece Susan Kinsey. The family has suggested memorials be made to The American Lung Association or The United Methodist Church of Burlington. Cliff’s family would like to extend a heartfelt thank you to the Aurora Palliative Care and Hospice for all their care and compassion. A Memorial Services will be held on Saturday, January 12 at 2:00 PM at the Schuette-Daniels Funeral Home. Relatives and friends may visit with the family on Saturday from 12:00 noon until 2:00 PM, at the funeral home. Private burial will take place at Southern Wisconsin Veterans Cemetery. CAZENOVIA, WI—On January 2nd, 2019, Melinda Sue Wieland (Brook) peacefully passed away in her home near Cazenovia, WI at the age of 81. Sue Wieland was born in Elwood, IN in 1937, to Woodrow and Dorothy Brook. She was raised with six brothers and three sisters. Sue had four children by previous marriage to Terrance Laster—two sons, Terrance “Ted” Laster and Thomas Gene Laster and two daughters, Rose Marie (Laster) Martin and Rena (Laster) LaShure. On June 26, 1962, in Waukegan, IL, Sue married Robert “Bob” J. Wieland and had a son, Randall J. Wieland. They moved to Racine, WI where they spent working their careers. In addition to Homemaker, Sue worked at InSinkErator, G.E. and also sold Tupperware. Sue was a member of Holy Cross Lutheran Church in Racine. Her hobbies included: gardening, cooking, fishing, and craft projects with her grandchildren. They retired to a farm in Cazenovia, WI where she enjoyed gardening, wildlife, and spending time with her family and friends. Melinda Sue Wieland was beloved by all and will be missed by her husband, Bob; mother, Dorothy Taylor Brook; two sons and two daughters; 13 grandchildren; 22 great-grandchildren; one great-great grandchild; brothers: Allen Brook, Jim Brook, and Sonny Brook; sisters, Jackie Altherr and Freda (Brook) Larrabee; other relatives; and friends. She was also preceded in death by one son, Thomas Gene Laster; father, Woodrow W. Brook; brothers: Woodrow W. Brook Jr., Ronald Ray Brook, and Max Eugene Brook; one sister, Marilyn (Brook) Hughes; several aunts; uncles; and cousins. The family invites all relatives and friends to celebrate Sue’s life with a memorial service held at Wilson Funeral Home in Racine, WI on Saturday, January 12, 2019 at 12:30 PM with Pastor Jesse Gullion officiating. Committal services and entombment will follow at West Lawn Memorial Park. A time of visitation will be from 11:00 AM until 12:30 PM. Online condolences may be made at www.wilsonfuneralhomeracine.com. RACINE—Frederick Charles Pulda, age 65, passed away Thursday, January 3, 2019, at Ridgewood Care Center. He was born in Racine, January 24, 1953, son of the late Frederick and Carol Nee: Rasmussen) Pulda. Fred graduated from Washington Park High School. On December 23, 1998 he was united in marriage to Betty Knutson Davis. Fred was employed as a landscaper and enjoyed gardening. He treasured time with family especially his kids. He will be dearly missed. Surviving are his wife, Betty; children, Jeremy (Erin) Pulda, Jenavive Pulda, Benjamin Pulda; grandchildren, Wyatt, Elizabeth, Michelle, Keltyn, Pandora, and Owen; siblings, Robin Pulda, Paul Pulda, Cynthia Schnabel, Eranina Baker and Mark Pulda; nieces, nephews, other relatives and dear friends. Relatives and friends are invited to meet at Cliffside Park Campground, 7320 Michna Rd, Caledonia, Saturday, January 12, 2019, 2:00 p.m. for a remembrance service. Shirley was born on November 16, 1925, to the late LaVern and Grace (nee Blackburn) Krohn in Racine. She was united in marriage to Glenn Newton Olson on April 12, 1947, at Gospel Tabernacle in Racine. They were married for 58 years until Glenn’s passing in February of 2006. Shirley was a faithful and proud member of Calvary Memorial Church for 77 years, dating back to when the church was called Racine Gospel Tabernacle. She taught Sunday school at the church for 42 years. Shirley was also a member of Calvary Mission Society, Lend the Hands, and homemakers. One of her biggest passions was china painting. She was very talented at china painting and even taught others how to do it. Shirley was also an avid reader. Left to cherish Shirley’s memory is her daughter-in-law, Rebecca Olson; her daughter, Susan Olson; her grandsons: Jeffrey (Melisa) Olson of Grand Blanc, MI and Daniel (Bay) Olson of Encino, CA; her great-grandchildren: Christopher and Lindsey Olson; many nieces, nephews, great-nieces, great nephews, as well as many other relatives and friends. Shirley is preceded in death by her loving husband, Glenn Olson, as well as her sons: Jonathan and David Olson. The family would like to extend a special thank you to Ascension-All Saints Hospice as well as Home Healthcare from Bright Star for their care of Shirley.